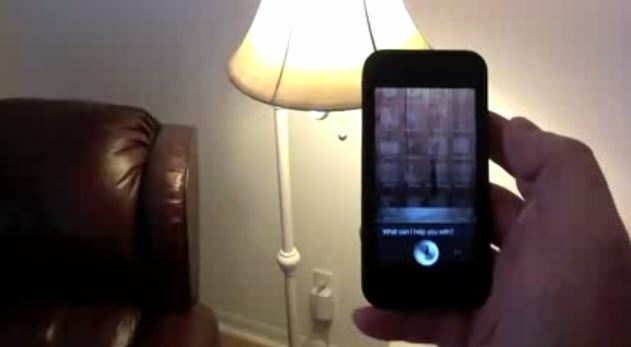 This isn’t the first time that someone has used Siri to control things in their house, but this one is much cooler. A certain gentleman used Siri on his iPhone 5 to control his garage door, lights in the living room, TV, thermostat and the alarm system. No, it’s not a fake. This YouTube user called Elvis Impersonator decided that he was bored with having to open his garage door, turning on his lights, and changing channels on his TV manually. He then got himself an iPhone 5 and hacked a Raspberry Pi, ported SiriProxy to it and voila. Now he can relay commands using Siri to the Raspberry Pi running SiriProxy, which then controls things in his house. He managed to open/close his garage door, turn on/off lights in the living room, change temperature on the Thermostat, disable the alarm, check his security cameras and change channels on his TV. He’s provided the full explanation of how he got it working on the YouTube video, but it is very technical and you need experience before you start any of this. To make things better and open, he has posted all the plugins that he used and the Raspberry Pi SD card image with SiriProxy pre-installed on his Github page and SourceForge. So, if you’re alone this Valentine’s Day, you could probably try doing this… name Siri ‘Jarvis’ and pretend you’re Iron Man.